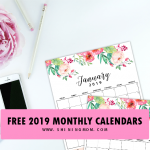 FREE 2019 January Calendar : 10 Beautiful Styles! 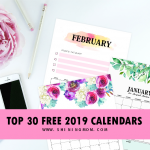 FREE 2019 January Calendar : 10 Beautiful Styles for You! 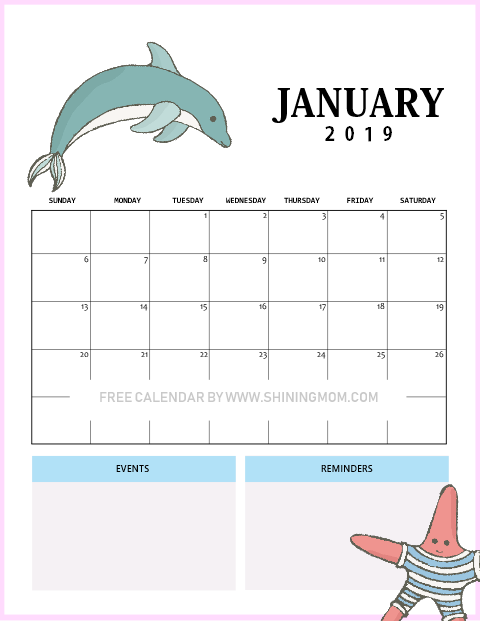 Blissfully organize your schedule for the first month of the year using our 2019 January calendar printables. They are great to use to set your goals and monthly to-do’s. They are all lovely and free! Happy New Year, friends! Ahh, I am so excited for the New Year! 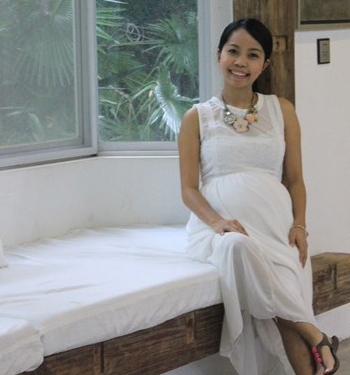 I love how it inspires me to dream bigger as I welcome another fresh start. 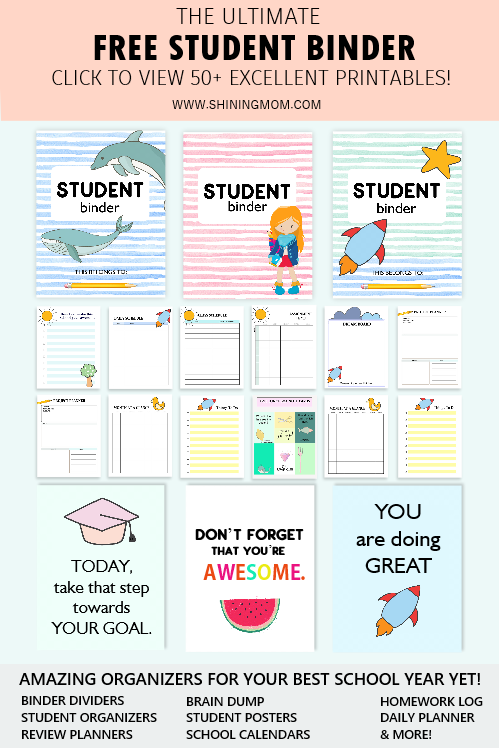 And if you’re anything like me who especially loves this time of the year for your goal-setting and planning, I am happy to share another set of printables that you can use to lay your January plans! There’s nothing like starting the year anew with clear goals. It will give you such confidence to welcome the year! 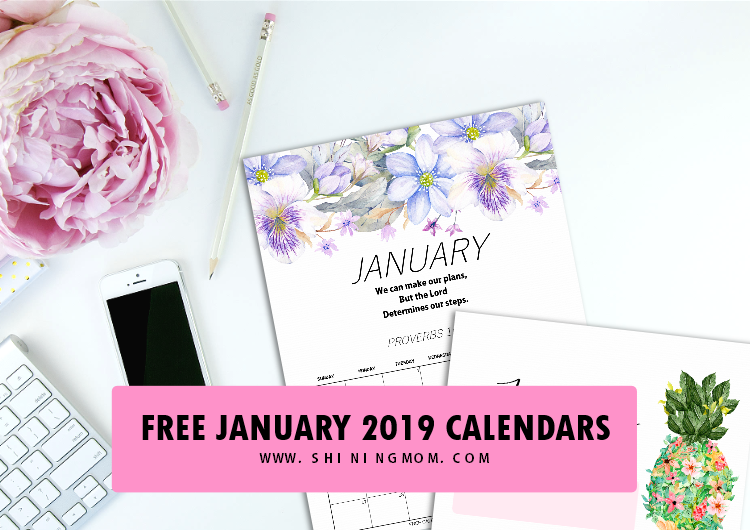 So id you’re looking for 2019 January calendar printables, I am happy to share our third set of January calendars on the blog today. Yup, we’re giving you plenty of printable calendar choices! 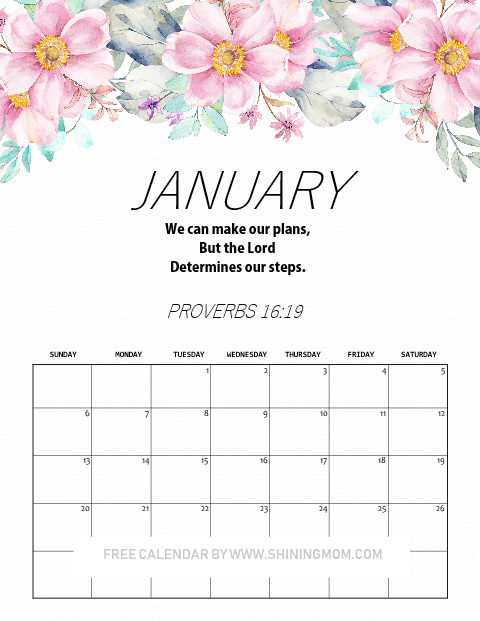 While I have previously shared 12 freshly designed January calendars in this post and another 15 calendars here, I thought of sharing 10 more designs to give you wider choices! Ready to view and snag the next set we’ve got for you? Keep scrolling down! 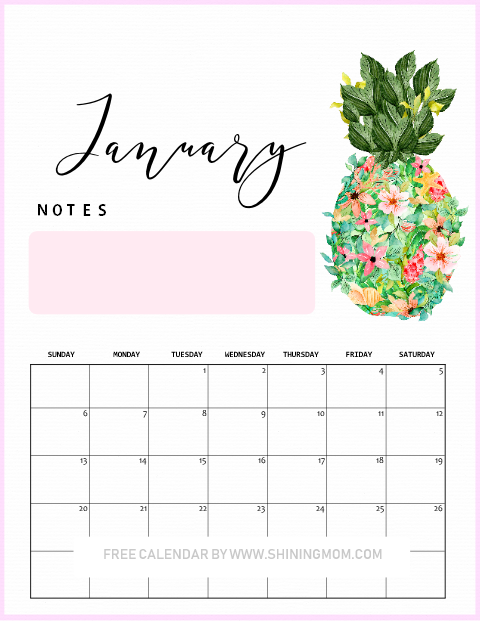 2019 January Calendar Printables: 10 Fresh Design Choices for You! Ready to prettify your home and office? Here are 10 beautiful calendars for you! 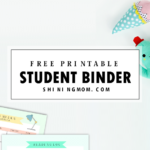 Use them as desk calendar, kitchen calendar, office calendar, school calendar and more! They come in a variety of styles. Thanks to Design Cuts and Creative Market where I purchased some of the graphic elements I used in designing these beauties. Anybody looking for a calendar with Bible scriptures here? 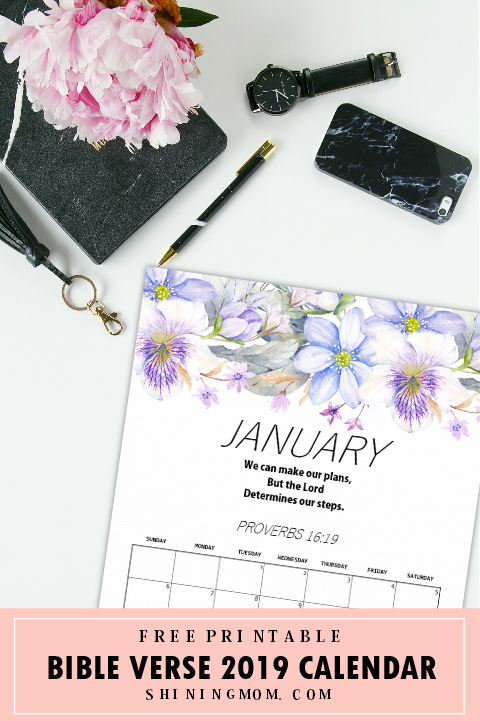 Snag this gorgeous January desk calendar with a reminder from Proverbs 16:19 to entrust your plans to the Lord. Isn’t it amazing lift up our plans to the Lord and He determines the steps for us? Let’s not miss to listen where He wants to take our plans this year. This calendar also comes in pink floral version. Which one do you prefer to print and use? 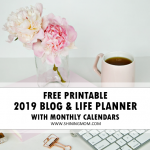 And should you also like a monthly calendar with Bible verse for the rest of the year, hop over to this post as I’ve also shared a complete set of monthly calendars for free. The next calendar that I have for you is another favorite design of mine from this set! Take a look! I love the refreshing vibe that this calendar brings. It’s the perfect calendar for my planner/ binder insert! I also added a spot where you can write your notes. In my case, I shall be using that spot to write down my monthly focus. May I know what you’ll be writing there? A motivational quote will be great, too! 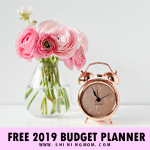 If you love this 2019 January calendar design, I am pretty sure you will love the Free Budget Binder that matches perfectly with it. Snag yours today! Next up is another charming calendar design that’s going to be very useful for you. 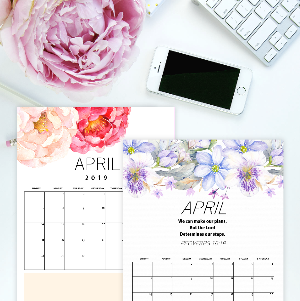 This floral-themed calendar has a room for your to-do list so you will stay organized all though the month. 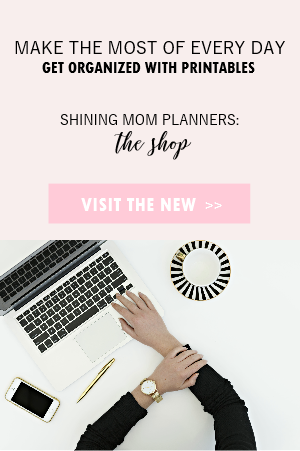 You might also like to check out our daily and monthly planners available at the Shining Mom Planners: The Shop! The next set of calendar come in fun and playful print designed for the school kids. Get the next two calendars for the little ones in your life and start teaching them to organize their schedule. These calendars come in fun summer theme! I made sure to include a spot where they can write important events such as birthdays, school activities and more! There’s also a spot where they can jot down monthly reminders. But hey, while these last two calendars are designed with the kids in mind, you can also use them of course. 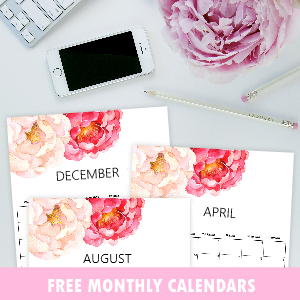 Adding cuteness to your monthly planning with be great, too! 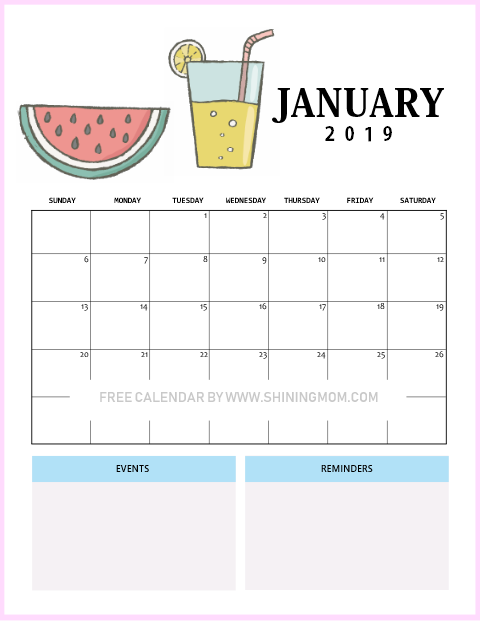 Get Your Free 2019 January Calendar! Discover the rest of the designs as you receive the file. As I’ve said, there are 10 styles included in your download. 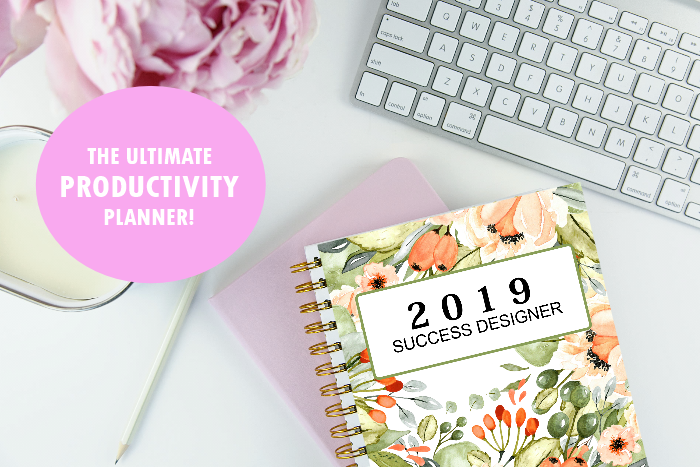 Lastly, for your complete organizing and goal-setting needs, reward yourself with our ultimate productivity planner, The 2019 Success Designer! 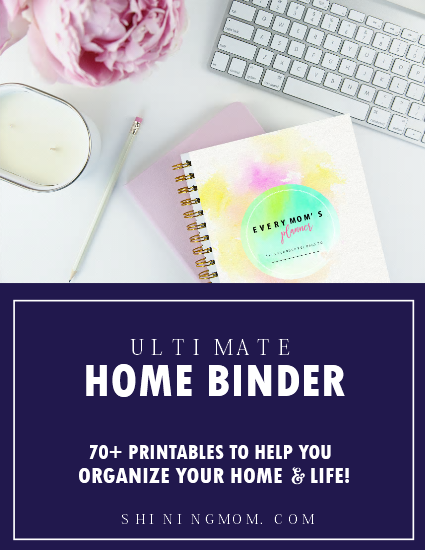 Valued at $10 only, this planner includes over 60 printable pages that will help you plan your success in 2019. 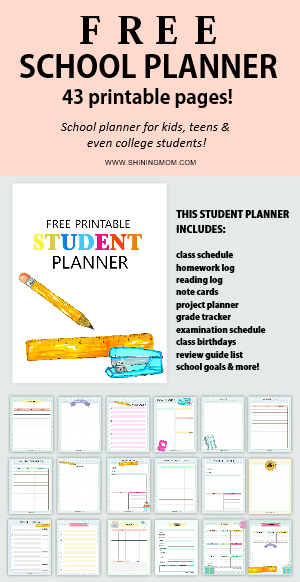 Buy the planner here or learn more about it. Will you be using these calendars? I’d love to hear from you! Please let me know your thoughts at the Comments. Happy New Year! This year is going to be amazing! 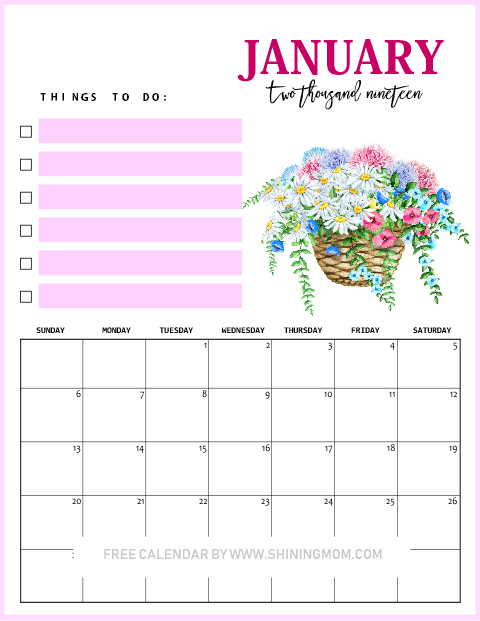 « FREE 2019 Calendar with To-Do List in Pretty Florals!